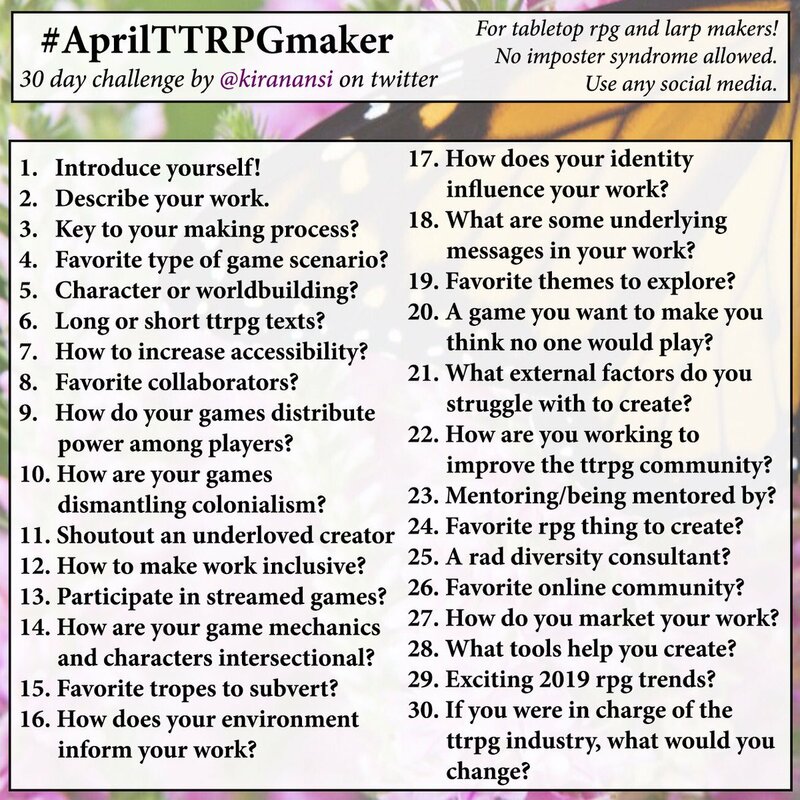 I’m going to *not* talk about Threadbare in this one, because that’s an obvious one. It’s been my labor of love for 6+ years, after all. I’ve contributed to many different games over the years. My favorite game that I’ve worked on is Timewatch— I contributed to the Book of Changing Years, which is a fluff book of time travelers. 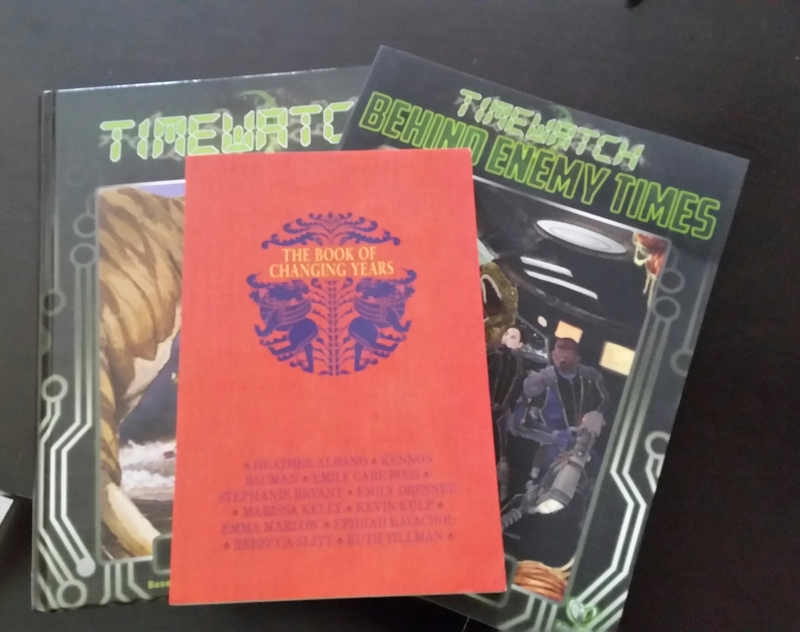 Timewatch is one of my all-time favorite games, and it was an honor to work on a supplement for it. However! 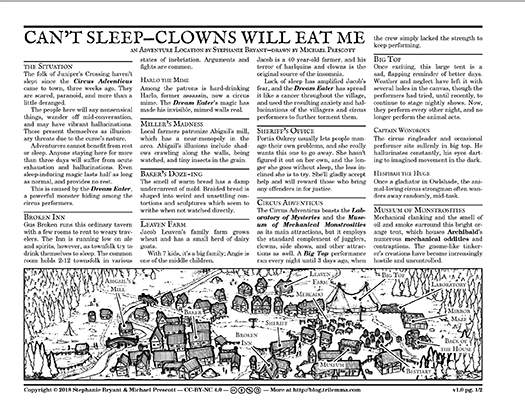 I will say that, in terms of “ease of doing the work,” I’d have to put the recent Can’t Sleep Clowns Will Eat Me adventure near the top of the list. From pitch to completion was a few very short weeks, Michael was a dream (haha) to work with, and the adventure is getting some positive feedback and generating ideas.